Pro-Line Trencher X SC Pre-Mounts Now With Split Six Wheels « Big Squid RC – RC Car and Truck News, Reviews, Videos, and More! 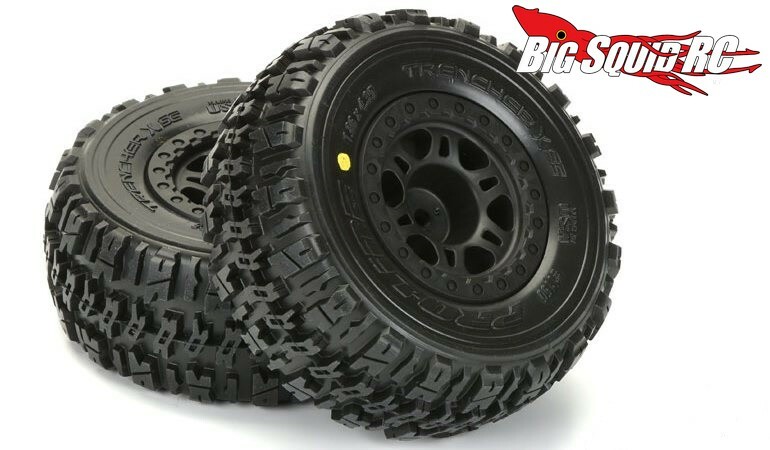 New from the good folks over at Pro-Line are Trencher X SC Tires pre-mounted on Split Six Wheels. The Split Six wheels are a bashing favorite because of their scale inspired designed and rugged nature. The Trencher Xs are also highly regarded by bashers because they work well just about everywhere and seem to wear forever, even in high power applications. Soon the pre-mounted combo will be available to fit your Traxxas Slash or HPI Blitz. #1190-21 is the part number to fit Traxxas Slash front while #1190-22 is the part number for Slash rear, Slash 4×4, and HPI Blitz. Both are street priced at $36 per pair and Right Here is the link you want for more details. Find more Pro-Line News on BigSquidRC.